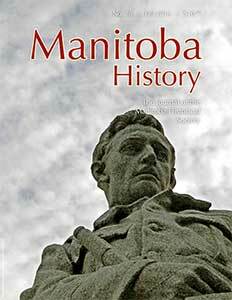 People Interested in Manitoba History Can Receive a Special Award. The Manitoba Historical Society is accepting nominations for the Lieutenant Governor’s Award. The award recognizes people interested in the preservation and promotion of the province’s history. The Society’s Gordon Goldsborough says nominations are open to anyone. He explains the award is intended primarily for people serving in the promotion of Manitoba’s history so pretty much anyone who’s done things like writing books, various art projects, running museums, anything that has an aspect of preserving and promoting Manitoba’s history would qualify. Last year Flin Flonners Don Peake and Gerry Clark received this award for their work in preserving and promoting the history of Flin Flon. Nomination forms and more information are available on the websites of the Manitoba Historical Society www.mhs.mb.ca or the Lieutenant Governor at www.manitobalg.ca. The deadline is March 1st.